Are Christians Partly to Blame for the Political Mess We’re In Because of Poor Theological Reasoning? For nearly 40 years I have been writing and speaking on worldview issues from a biblical perspective that includes topics like politics, economics, ethics, and education. It’s been an uphill battle. Trying to convince Christians that they should get involved in these issues has gotten a lot of pushback, mostly from pastors. A majority of Christians send their children to government (public) schools even though what these schools teach is diametrically opposed to what the Christian parents believe. Most Christians are content with a little bit of socialism, a clear violation of the Eighth Commandment. When it comes to politics, millions of Christians couldn’t be bothered. They’ve been told for decades that politics is not “spiritual.” Most pastors won’t touch the topic for fear of alienating members who may be socially and politically liberal. Solomon had multiple foreign wives, horses, weapons of war, and an accumulation of wealth, all in violation of the law regarding kings (I Kings 10; Deut. 17:14-20). “For Solomon went after Ashtoreth the goddess of the Sidonians and after Milcom the detestable idol of the Ammonites. Solomon did what was evil in the sight of the Lord, and did not follow the Lord fully, as David his father had done. Then Solomon built a high place for Chemosh the detestable idol of Moab, on the mountain which is east of Jerusalem, and for Molech the detestable idol of the sons of Ammon” (vv. 5-7). Even when kings sat down to write out the law of God as required by the law (Deut. 17:18-20), most of them went astray. But there is not a single place in the Bible where God’s people are to avoid the realm of politics. And when [the Romans] had examined me, they were willing to release me because there was no ground for putting me to death. But when the Jews objected, I was forced to appeal to Caesar, not that I had any accusation against my nation (Acts 28:18-19). Like I said, politics is messy, but nowhere are God’s people told avoid teaching and practicing a biblical view of the topic. In fact, a civil magistrate is described by Paul as a “minister of God … for good” (Rom. 13:4). We should just preach the gospel: Paul told the Ephesian elders that he did not shrink from declaring to them the “whole purpose of God” (Acts 20:27). Being a new creature in Christ is the first step in a whole new life. Being born again does not stop at infancy. We are to grow up in the faith so every area of life is impacted by God’s Word so that “because of practice” our “senses [are] trained to discern good and evil” (Heb. 5:11-14) so like the men of Issachar we would “understood the times, with knowledge of what” we should do (1 Chron. 12:32). The Bible applies to every area of this life. Salvation is more than a future fire insurance policy. Politics is dirty (sinful): What isn’t dirty (sinful)? Our job is to clean up the things that are dirty. Diapers are dirty so we change them. If politicians or their policies are dirty, we should change them by voting them out of office. This can’t be done by sitting on the sidelines or waiting a few months before a major election before getting involved. Jesus didn’t get mixed up in politics, so why should we? : There are many things Jesus didn’t do. He didn’t get married, have children, or own a home. Should we follow His example in these areas? The civil magistrate is said to be a “minister of God” (Rom. 13:1-4). It’s the same Greek word (διάκονός) used to describe a deacon in an ecclesiastical setting (1 Tim. 3:8-13). In neither of these governmental offices are these ministers to “lord it over those allotted to [their] charge” (1 Peter. 5:3; see Matt. 20:25-28). The people are necessary to keep them in check. Our citizenship is in heaven: We have multiple citizenships (commonwealths), with our heavenly citizenship being a priority (Phil. 3:20; see Acts 5:29). The fact that Paul was a citizen of heaven did not stop him from claiming his Roman citizenship (Acts 22:25-29) and appealing to Caesar (25:9-12; 28:18-19). 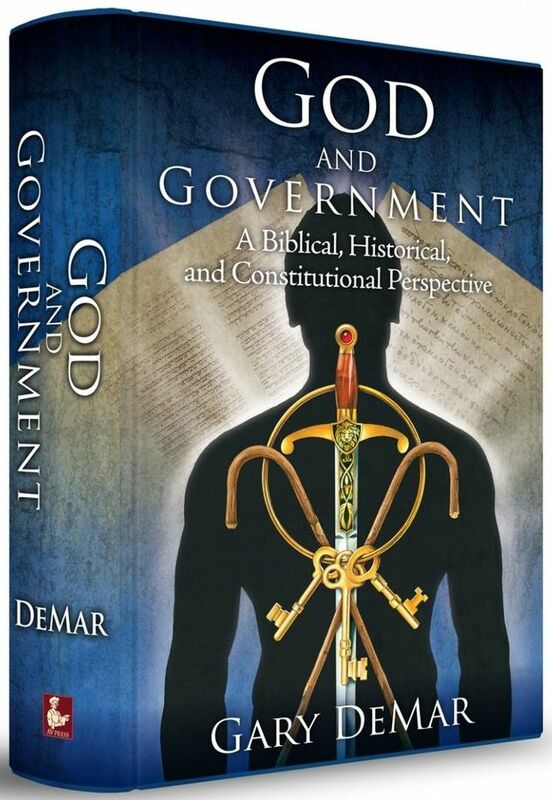 There’s a separation of church and state: The Bible teaches that there is a jurisdictional separation between church and state, but there is no separation between God and government, and that includes civil government. The First Amendment is often used to support the claim that God and government don’t mix. The words “church,” “state,” and “separation are not found in the First Amendment. The prohibition is addressed to what Congress can and cannot do. Jesus’ kingdom is not of this world: God’s kingdom does not derive its power and authority from this world, but His kingdom is in and over this world whether people acknowledge it or not. We are to pray, “Your kingdom come. Your will be done on earth as it is in heaven” (Matt. 7:10). The book of Acts ends with the Apostle Paul “testifying about the kingdom of God and trying to persuade them concerning Jesus, from both the Law of Moses and from the Prophets, from morning until evening…. [P]reaching the kingdom of God and teaching concerning the Lord Jesus Christ with all openness, unhindered” (Acts 28:23, 31). Doing God’s will in the here and now is the manifestation of kingdom living. Satan is the god of this world: Satan is no more a god than a person’s stomach is a god (Phil 3:19; Rom 16:18). Paul is describing what some people choose to be their god, a limited creature who has been defeated (2 Cor. 4:4). Notice what Jesus says: “Now judgment is upon this world; now the ruler of this world will be cast out” (John 12:31). We’re not supposed to judge: We are admonished by Jesus to be consistent in judgment (Matt. 7:1-2) and to “judge with righteous judgment” (John 7:24). There is no directive not to judge between good and evil, right and wrong, moral and immoral. The Apostle Paul brought judgment on the Corinthian church because “someone has his father’s wife” (1 Cor. 5:1; Lev. 18:8; Deut. 22:30; 27:20). We must render to Caesar what’s Caesar’s: We don’t live under Caesar. We live under a Constitution, and we can remove and replace people in office and “petition the government for a redress of grievances.” The people in Jesus’ day could not. We do not have to settle for the political status quo. Working against the interests of an out-of-control government is not revolution or a violation of Romans 13. Christians should remain neutral: Neutrality is impossible. Jesus said, “He who is not with Me is against Me; and he who does not gather with Me scatters” (Matt. 12:30; also see Rev. 3:16). It’s impossible to be neutral about anything when it comes to moral reasoning. We can’t impose our morality on other people: All law is the imposition of someone’s view of morality. The question is, What authority should civil governments have at the local, city, county, state, and national levels? Just because a majority of people vote for a governmental power does not mean that governmental power is legitimate. We’re living in the last days and Jesus is coming soon to rapture His church so why polish brass on a sinking ship: How many times have we heard this claim? Even today Christians are pushing the canard that the “rapture” is near, that the antichrist is on the brink of revealing himself, and there is no reason to rearrange the deck chairs on the Titanic. Shipbuilding did not stop with the sinking of a ship that some people claimed was unsinkable. Sometimes unbelievers understand this principle better than Christians do. That why Jesus said, “the sons of this age are more shrewd in relation to their own kind than the sons of light” (Luke 16:8). 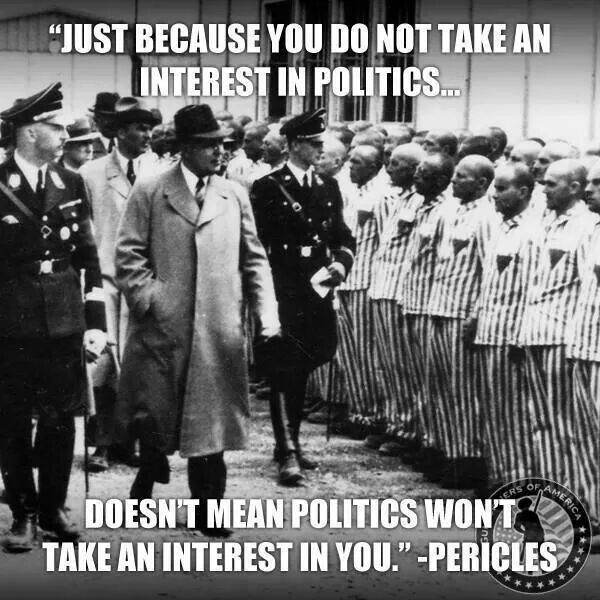 The goal is not to be involved in politics to extend social interests using compulsion. The Christian’s goal should be to limit the sphere, authority, and power of government. There’s so much more that could be said on this topic. I’ve covered the above topics and more in my book Myths, Lies, and Half-Truths: How Misreading the Bible Neutralizes Christians and Empowers Liberals, Secularists, and Atheists. Is This the Reason For Mass Shootings and Other Acts of Violence? Are the Views of These Men Responsible for the Las Vegas Massacre?